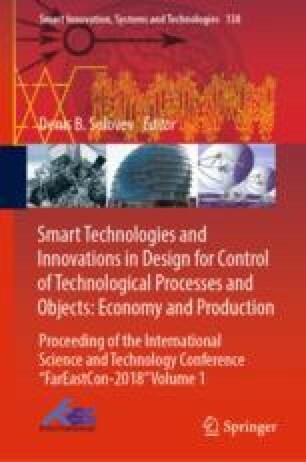 The International Science and Technology Conference "FarEastСon"
In this article the author presents her approach to assessment of regional development of the Republic of the Crimea, carries out the analysis of scientific research in the sphere of regional economy, agrarian regions and rural areas, and provides contemporary domestic and foreign approaches to methods of studying economic and social situation of regions. To identify problems and creation of strategic directions of sustainable development of the Republic of the Crimea as an agriculture-focused region, the article introduces the results of analytical review on functioning of the agrarian sector of the peninsula’s economy and provides integration assessment of the cumulative indicator of food market condition in the Crimea using the coordinates matrix method. On the basis of the conducted research it has been established that in 2005–2011 the clear tendency of growth of the cumulative indicator of social and economic condition of agrarian and industrial complex of the Republic of the Crimea was traced; in 2012–2014 it demonstrated its steady decrease; in 2016 it reached the level of 2007 and made 15,09. The results of the conducted analysis allow to reveal the main problems of sustainable development of the agrarian sector of regional economy (the termination of water supply for needs of hydromelioration, reduction of irrigated lands, limitation of material resources of farms, decline in volumes of agricultural production, etc.) and to outline the strategic directions of stabilization and increase in efficiency of its functioning (allocation and regional support for priority branches of agrarian production, development of rural areas and their infrastructure, improvement of social and demographic situation, etc. ).